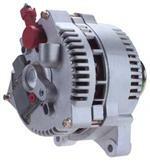 100% New aftermarket Bosch-compatible alternator. 120 Amp, 12 Volt, CW, 6-Groove Clutch Pulley. 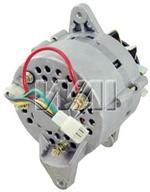 Replaces: Audi, Volkswagen 028-903-028E, 028-903-029G, 028-903-029GX, 028-903-030A, 038-903-018Q, 038-903-018QX, 038-903-023S, 038-903-023SX and more. Ford Motorcraft type 6G series 140 high amp, large case alternator for 99-2009 Ford 7.3L, 6.0L, 6.4L & 6.7L Power Stroke Diesel trucks. Heavy duty voltage regulator and heavy duty bridge rectifier. Ford Motorcraft type 6G series 140 high amp, large case alternator for 99-2009 Ford 7.3L, 6.0L, 6.4L & 6.7L Power Stroke Diesel trucks. Heavy duty voltage regulator and heavy duty dual bridge rectifier. Ford Motorcraft type 6G series 140 high amp, large case alternator for 99-2009 Ford 7.3L, 6.0L, 6.4L & 6.7L Power Stroke Diesel trucks. Heavy duty voltage regulator and heavy duty triple bridge rectifier. 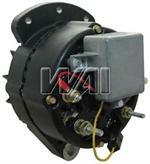 Ford Motorcraft type 6G series 160 high amp, large case alternator for 99-2009 Ford 7.3L, 6.0L, 6.4L & 6.7L Power Stroke Diesel trucks. Heavy duty voltage regulator and heavy duty bridge rectifier. Ford Motorcraft type 6G series 200 high amp, large case alternator for 99-2009 Ford 7.3L, 6.0L, 6.4L & 6.7L Power Stroke Diesel trucks. Heavy duty voltage regulator and heavy duty bridge rectifier. Ford Motorcraft type 6G series 200 high amp, large case alternator for 99-2009 Ford 7.3L, 6.0L, 6.4L & 6.7L Power Stroke Diesel trucks. Heavy duty voltage regulator and heavy duty dual bridge rectifier. Ford Motorcraft type 6G series 200 high amp, large case alternator for 99-2009 Ford 7.3L, 6.0L, 6.4L & 6.7L Power Stroke Diesel trucks. Heavy duty voltage regulator and heavy duty triple bridge rectifier. Ford Motorcraft type 6G series 250 high amp, large case alternator for 99-2009 Ford 7.3L, 6.0L, 6.4L & 6.7L Power Stroke Diesel trucks. Heavy duty voltage regulator and heavy duty dual bridge rectifier. Ford Motorcraft type 6G series 250 high amp, large case alternator for 99-2009 Ford 7.3L, 6.0L, 6.4L & 6.7L Power Stroke Diesel trucks. Heavy duty voltage regulator and heavy duty triple bridge rectifier.